By comparison, exotic plants are favored by retailers because their leaves often come in leprechaun greens. Impatiens and hibiscus heave with blooms so lurid that a crayon company couldn’t match their pizazz. The joke is on us, because once we get them home, many become pest magnets that demand heavy irrigation and expensive regimens of fertilizer, amendments and pesticides. The native-plant movement in California needed decades of false starts to overcome the fact that the best-adapted and most consumer-friendly plants were the hardest sell. Then the Theodore Payne Foundation for Wildflowers and Native Plants in Sun Valley had an idea. If it couldn’t get native plants to strut their stuff effectively in stores, the foundation would bring customers to native gardens. Conventional garden clubs had tours. Why couldn’t Theodore Payne? 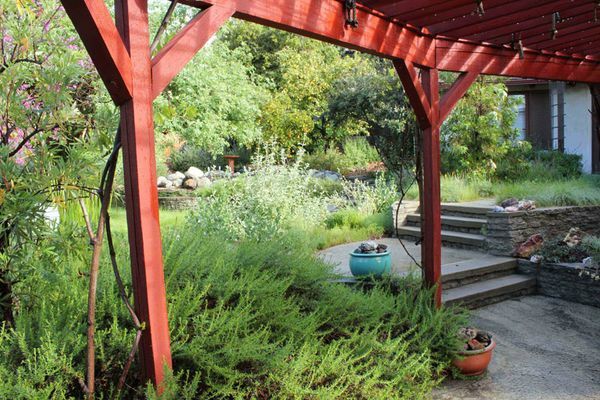 Click here to keep reading this week’s Dry Garden column in the Los Angeles Times. For full listings of April Dry Garden events, click here.